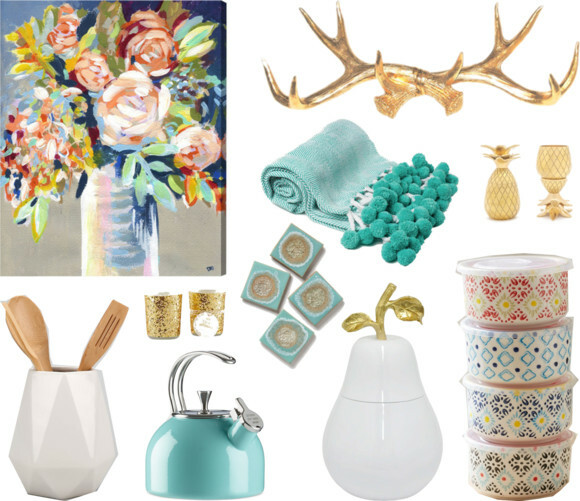 The deets: Oliver Gal painting; Joss & Main antler hook & sparkly candles; Urban Outfitter utensil holder & ceramic food storage bowls; Kate Spade tea kettle; Anthropologie coasters; Hattan Home pineapple shot glasses & teal throw; Rachael George pear jar. I decided to participate in the yearly inundation of gift guides that come at you from all angles if not for any other reason but to put out there what I would personally like to see (ahem, hopefully my fiance checks this blog of mine..jk..but not really..). Each Thursday for the next three weeks I will pull together some favorites from different groups, all under $100. Tis' the season!